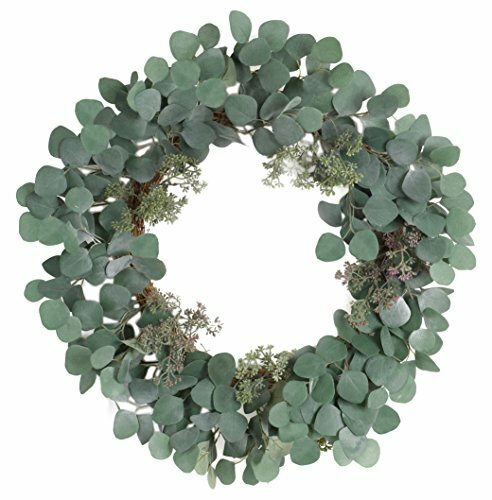 Bold eucalyptus leaves create a soft dusty green statement of color. This wreath is compact and full and will need just a small amount of shaping to its full size upon arrival. If you have any questions about this product by Melrose International, contact us by completing and submitting the form below. If you are looking for a specif part number, please include it with your message.